Perdue is a well known American company that deals in food items and agricultural product. Consisting of two important segments, namely Perdue AgriBusiness and Perdue Foods, the organization is based out of Salisbury in Maryland. The company boasts of an annual sale of more than $6 billion. Perdue Farms is one of the largest processors of chicken, pork and turkey. 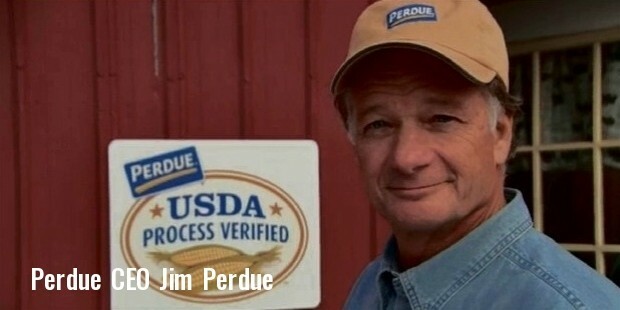 On the other hand, Perdue AgriBusiness is one of the top most grain companies in the country. 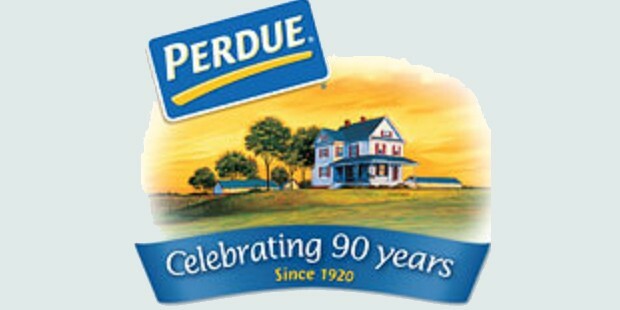 Perdue was found in the year 1920 by Arthur W. Perdue and his wife Pearl Perdue. They started out by selling eggs of the chicken that they tended to. In 1925, they established a hatchery and along with eggs, they also started supplying layer chicken to their customers. In the year 1939, their son Frank Perdue dropped out of college and joined his parents to further this endeavor. In the 50s the company was finally incorporated with Arthur and Frank Perdue assuming the role of the leaders of the company. The company was renamed A.W. Perdue and Son during the process of incorporation. With this, the company decided to expand its horizons and started associating with other farmers to help them raise and tend to birds. The company also opened a new hatchery to further their task of processing. Later the company built a storage facility as well as a plant for processing soybean and thereby entered the oilseed and grain business. In the year 1968, Perdue Farms established its first ever plant for processing poultry in Salisbury. This decision helped them in diversifying their products and increased their profits manifolds. In the year 1991, Frank Perdue’s son, Jim Perdue became the third chairman of the organization. In the year 2007, Perdue Farms decided to raise and supply poultry which was free of antibiotics and other artificial growth agents. By the year 2014, all kinds of antibiotics that are used to facilitate the growth and prevent diseases in animals had been completely stopped and the brand of food items was marketed as “antibiotic free”. Some of the brands that were thus marketed include Harvestland, Perfect Portions and Simply Smart. In 2010, there was a structural change in the company when it was taken over by another holding company of the family, FPP Family Investments Inc. This organization started controlling and managing all the subsidiaries of the firm. Some of the important subsidiaries that came under the control of this company were Perdue AgriBusiness, Coleman Natural Foods, FPP Business Services, Heritage Breeders, Venture Milling, Perdue Fats and Proteins, Perdue AgriRecycle and Perdue Fats and Proteins. In 2013, the company was declared to be the Third Largest Producer of Broiler Chicken in America. Perdue Foods that is an important segment of Perdue Farms is said to be one of the Major Chicken and Poultry Processors of America. Perdue AgriBusiness is ranked as one of the top most grain companies in USA.